When energy-saving lighting first hit the market, many of them were less than luminary in terms of style and cost-not to mention that ghastly glow. But awareness around efficiency has spread, even at the mass level: In 2012, the Montreal hockey arena, Bell Centre, replaced its old bulbs with 140 LEDs. The same year, New York City’s Central Park completed a massive installation of 1,600 LEDs. 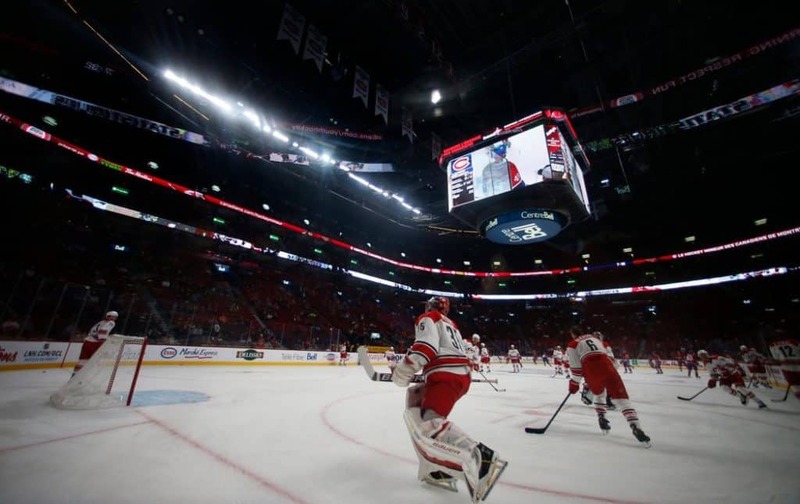 The Bell Centre, a Montreal hockey arena, is now lit by energy-efficient LED lighting-photo from The New York Times. Companies have developed better energy-efficient alternatives for the home, too. The British company Plumen, for example, offers high-design, low-energy light bulbs, pendants, chandeliers, and shades at affordable prices. (They ship to the U.S. with compatible fitting options.) The Original Plumen 001 bulb—touted as “the world’s first designer low energy light bulb”—lasts eight times longer than a standard incandescent, while saving you 80% on your energy bill. Plumen also offers sets of the bulb plus a contemporary lamp shades or a drop-cap set, so you can get some architectural flair along with the beauty of the bare bulb. Lighting has come a long way: Plumen low-energy light bulbs. Search for “energy saving” at Lamps Plus online, and you’ll find everything from rustic outdoor lantern sconces to modern ceiling lights to dimmable options for recessed ceiling lighting. On the higher-end side, the boutique lighting company Rich Brilliant Willing offers its Excel collection for Roll & Hill-desk lamp, sconces, chandelier, and floor lamp-with LED alternatives. 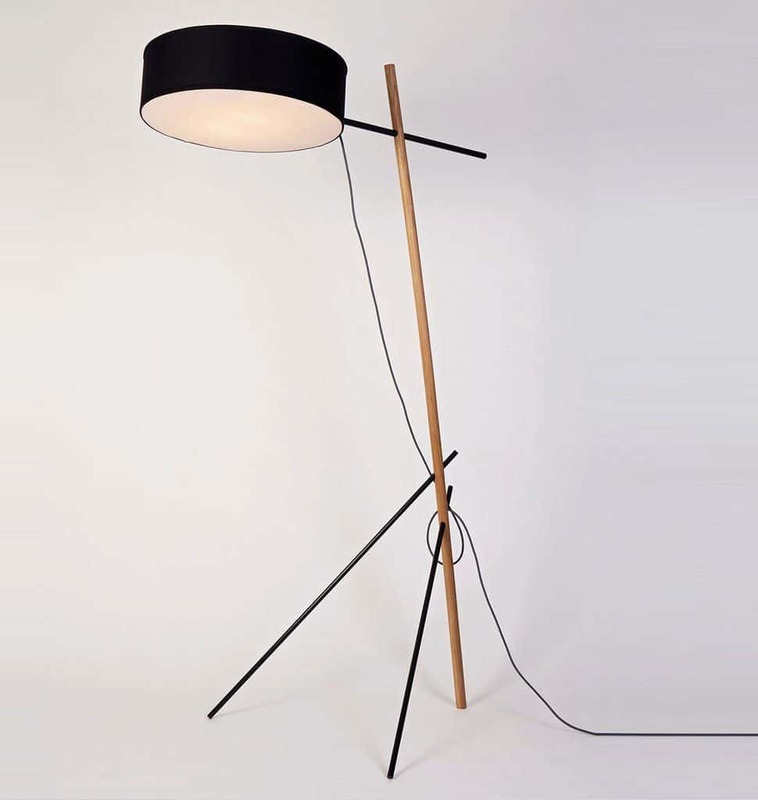 Caption: The Excel Floor Lamp by Roll & Hill offers an LED alternative. Even if you’re looking to make small changes and simply upgrade your bulbs, you can find energy-saving alternatives at big-name retailers like Target and Bed Bath & Beyond. LED bulbs now range from “bright white” to “soft white” to “warm candle light .” Nobody would believe they’re the new look of LED, but you’ll have the energy bill to prove it. 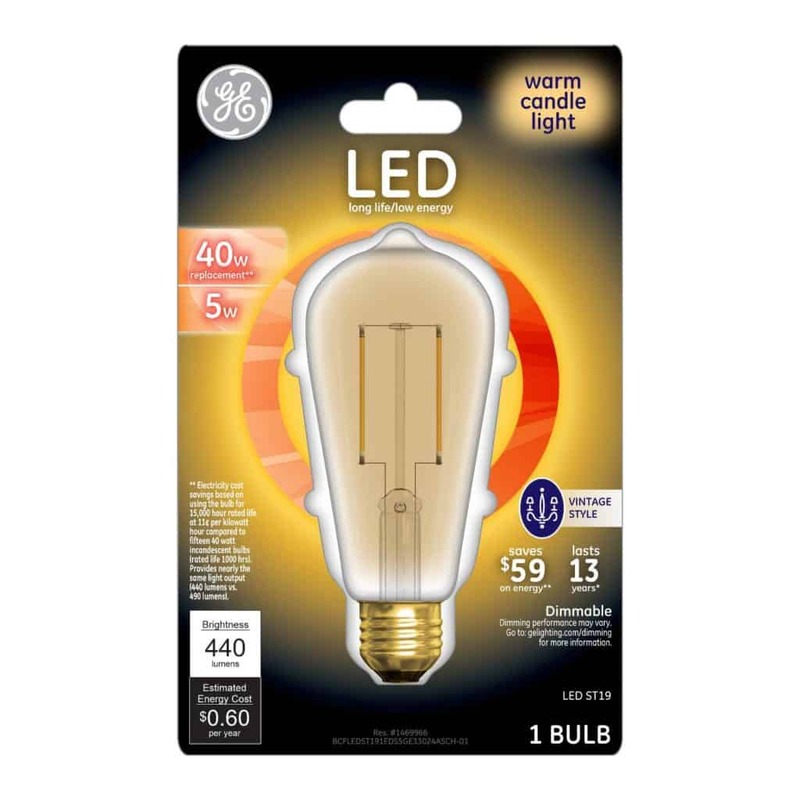 The Warm Candle Light bulb by General Electric is now available at Target. 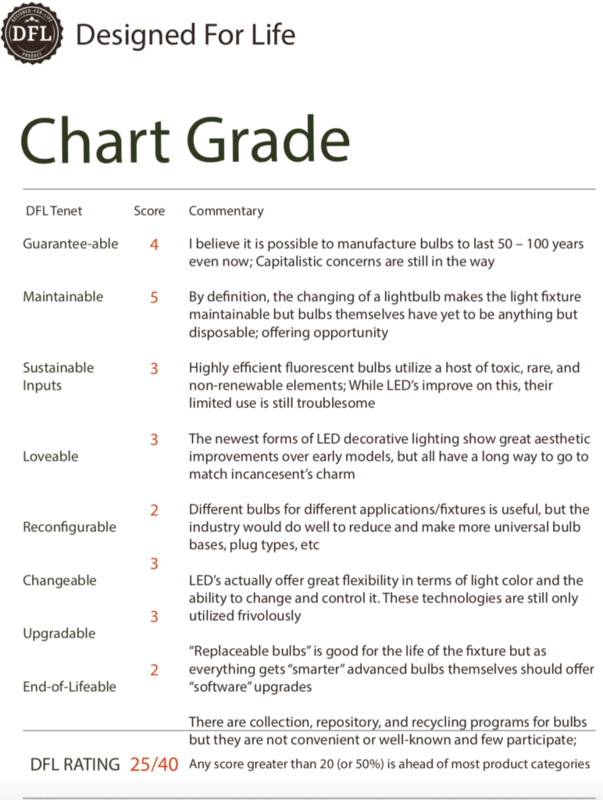 The entire lightbulb industry has changed drastically over the past decade. 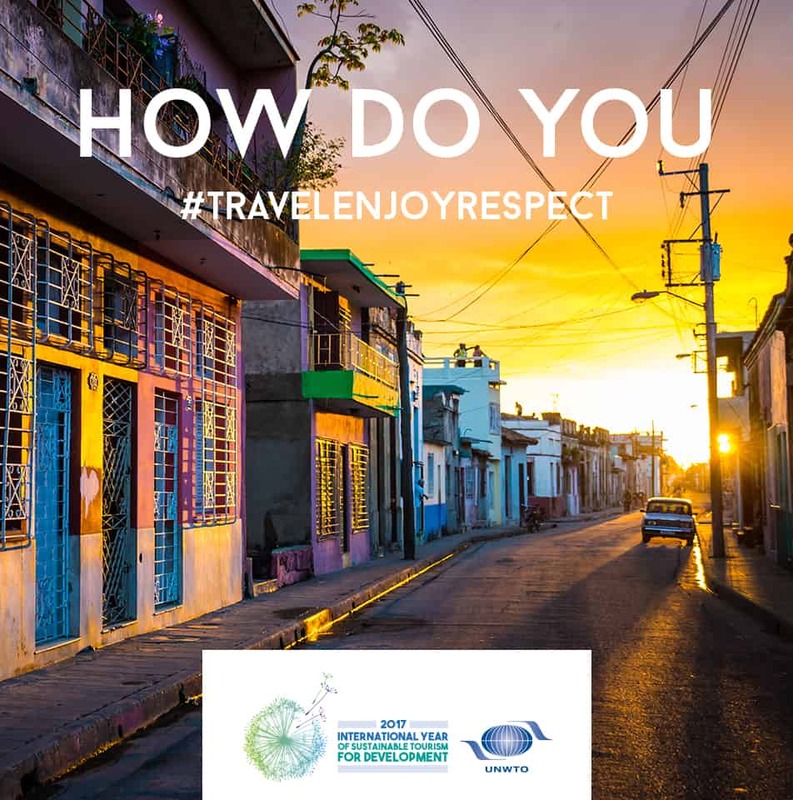 In fact, what began as an option-a personal choice to maybe pay more for bulbs but make a conscious choice to be environmentally conscious has become not just the norm, but a government regulated movement. Lightbulb offerings at home improvement stores like Home Depot and Lowes, or big box retailers like Target and Walmart all across America have already made a complete transformation, making affordable, energy-efficient bulbs the only in-stock option for most typical application light bulbs. Decorative or specialty bulbs can still be found in incandescent form, but are typically only stocked by retailers to support the non-essential light fixtures in an average home. I have mixed feelings about this. Energy efficient bulbs (now mostly LED’s) simply do not produce the same kind of light as an incandescent bulb. The glow is just different, milkier. The shadows cast are less dramatic. The richness of the glimmer is lacking, there is no sparkle and is, in my opinion, worse, from a decorating and ambiance creation standpoint. No doubt the aesthetics of the light produced by energy efficient bulbs has improved greatly over the past decade. LEDs, like fluorescents used to be quite “cold,” and stark white. There are now warmer light options as denoted by their lower “Kelvin” rating (the lower the Kelvins, the warmer, or more yellow, the light emitted). This is where my love for decorating and place-making clashes with my passion for sustainability. The only way to characterize the palpable difference between a fixture with incandescent lightbulb versus an LED is to compare it to the ambiance that is produced uniquely by candlelight. It is just different than other light. Incandescent lights, including domestic halogen lighting is the next best thing. This change in glow as we’ve transitioned to mostly LED lighting has affected most of the lightbulbs in our homes, our commercial spaces, and even our Christmas trees. LED and other low-energy-consumption lights are far more “DFL” than any incandescent solution, and from an aesthetics standpoint they are improving rapidly. But I am doubtful they will ever become as charming, warm, or romantic as their incandescent counterparts. As a designer, decorator, and lover of intentionality in design especially as it relates to place-making and ambience, is it immoral to choose incandescent lighting in the name of ambience despite the good intentions of recent governmental regulation and the environmental movement at large?